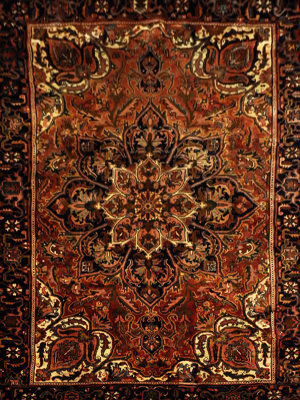 Although genuine oriental carpets are designed to endure normal wear and tear, proper attention, care, and cleaning is still necessary in order to maintain their beauty and value for many years to come. 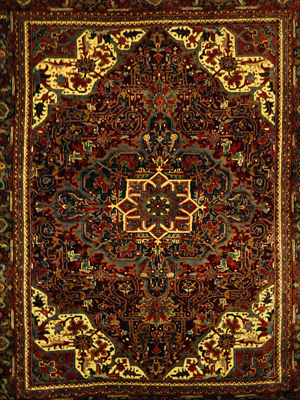 One should vacuum their oriental carpet once a week in order to prevent the grit from severing the wool. Vacuuming should be done in the direction of the pile as to separate the particles that have made their way between the fine knots. 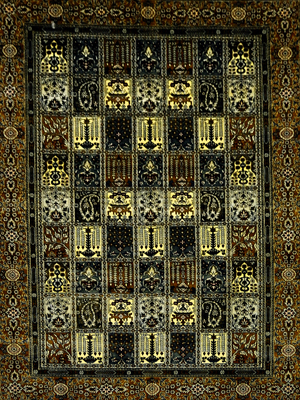 Do not be afraid to over-vacuum your carpet as there is no such thing. The skillfully crafted hand-tied knots are woven so tightly that they cannot be disrupted or removed by a vacuum. If the carpet is new, some shedding is expected, though as time passes the shedding will subdue naturally with regular care and use. At times the particles of grit can become so deeply embedded that a vacuum will not suffice. In this case, a professional cleaning will remove the dirt that is engrained in the carpet as well as soiling that can slowly dull a carpet. It should be noted that this kind of cleaning should never be attempted at home and can only be done by a professional with the proper equipment and facilities as it is an intricate process. For more mild washing, such as cleaning a spill, remember to clean the spill immediately before it soaks in. Scrape off any solid dirt and/or soak up any excess liquid with a paper towel. Then, clean the spill with a mild solution of soap, water, and a bit of white vinegar. 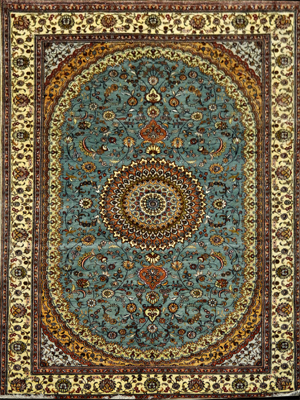 After this, elevate the spot to dry in order to let air flow properly through the rug. If the stain happens to be oil or grease, a mild cleaning fluid or dry power petroleum base agent may be used. Test the solution on a small area of your carpet to make sure it is color-fast. Be sure to start cleaning the stain from the edge inwards to prevent spreading. 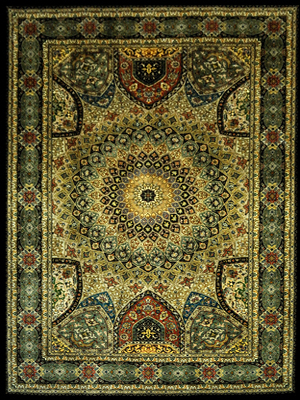 If need be, call a professional oriental rug cleaner.